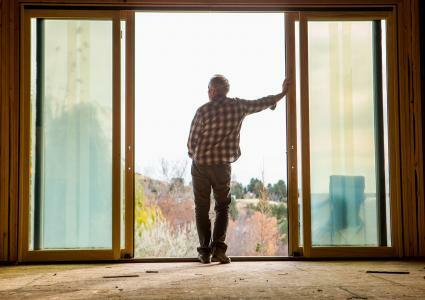 If your home has fallen into disrepair and you are unable to come up with the funds to repair it, a government grant may be available to assist you. While not common, there are some free government grants for home repair available to those who qualify. When searching free grants for home repairs, you should first check to see if you qualify for the program(s) offered through your state and local government. Each program comes with its own eligibility requirements and application process, so be sure you understand what these are. Once you ascertain you meet all eligibility requirements, it's time to apply so you can get started on those repairs. Grants.gov was created in 2002 as a way to help increase the public's access to government services. More than 1,000 government grants and 500 billion dollars in annual grant money is available. Not all grants through this program are for home repairs. The majority of funding through Grants.gov are for organizations--state and local government agencies--and not individuals. Before spending time searching for possible grants, first determine your organization's eligibility for the grant. You will first need to register online in order to complete any application for a grant. If you represent an organization, public housing, state/local government, etc, make sure you have as much information as possible about your project and how you intend to use or distribute the funds. If you miss the current year's application deadline, check back to see when the next deadline is or if the grant will be offered again. The Department of Health and Human Services through the Administration for Community Living has a grant programs HHS-2018-ACL-AOA-HMOD-0308: Promoting Aging In Place by Enhancing Access to Home Modifications that awards $250,000 to modify senior citizens' homes to assist the aged in remaining in their homes without the dangers of falling and other accidents due to homes that cannot accommodate the aging. Those eligible include non-profit entities (domestic public or private), including state and local governments, Indian tribal governments and organizations (American Indian/Alaskan Native/Native American), faith-based organizations, community-based organizations, hospitals, and institutions of higher education are eligible to apply. The grant program USDA-RD-HCFP-HPG-2018: Rural Housing Preservation Grant has a budget of $10,392,668 with an award ceiling of $50,000 to qualifying faith-based, community organizations, public agencies and private nonprofits to assist low and very low income homeowners with repairs and home rehabilitation in rural areas. The United States Department of Agriculture (USDA) offers grants awarded directly by the federal government and funding available through states and local communities. 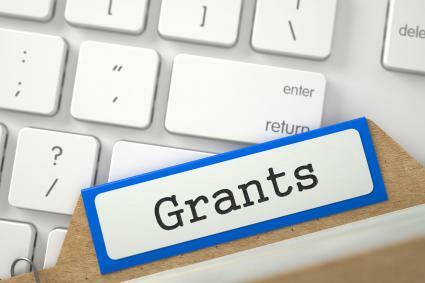 You may be eligible for other types of grants based on your region. To find out what types of grants may be available in your area, locate your state on the USDA map. The Housing Preservation Grant Program has $10 million in funding. This program awards grants to sponsoring organizations for low and very low-income citizens in rural towns with 20,000 or fewer people. Individual homeowners are not eligible but may qualify through the awarded agency or entity. Those awarded grants can repair or rehabilitate owned or occupied homes. State and local government entities, nonprofit organizations, and federally recognized tribes are eligible to apply for grants. The Single Family Self-Help Grants (Section 504) provides grants and loans to very-low-income homeowners. The loans are used to improve or modernize homes and make repairs. The grants are for elderly homeowners with very low incomes. The grants are awarded to remove any hazards to safety and health and must be used for these purposes. The best way to apply for this grant is to contact your local office for assistance. You must own the home and live in it. You must be unable to qualify for affordable credit. Your family income must be below 50 percent of the median income for your area. Grants require you be 62 years old or older and unable to repay a repair loan. The maximum grant amount is $7,500. You can only receive one grant during your lifetime. If you sell your property within three years, you must repay the grant money. If you're able to pay part of the repairs, you may qualify for a combination of a grant and loan. The US Department of Housing and Urban Development (HUD) offers grants to a select group of applicants. Many of the grants are listed and available through Grants.gov, where HUD encourages you to apply. The Neighborhood Stabilization Program is part of the CDBG (Community Development Block Grant Programs). These grants are provided on a formula basis awarded to state, cities, and counties for the developing of housing for low- to moderate-income people. The NSP directly benefits people with low and moderate incomes that doesn't exceed 120 percent of the area median income (AMI). The NSP was established to provide emergency assistance to depressed communities suffering from high rates of foreclosed and abandoned homes in an effort to stabilize the communities. Redevelop vacant and demolished properties. "Establish financing mechanisms for purchase and redevelopment of foreclosed homes and residential properties." To buy and rehabilitate abandoned or foreclosed homes. "Establish land banks for foreclosed homes." You cannot receive direct funding from HUD if you're a homebuyer, contractor, or a program partner. The funding is administered through local/state government agencies and nonprofit grantees. The requirements to participate in your local program may differ from one area to another since NSP grantees create their own programs with funding priorities. HUD also allows access to past high-scoring applications for grants that applicants can review to determine what qualifications are rated highly. States and local governments are automatically eligible for HOME grant funding. States receive grants according to which is greater-their formula allocations or $3 million. The funding is often given as a partnership with local nonprofits. The funds can be used to build, buy and/or rehabilitate affordable housing that can then be rented or sold to low-income people. This Federal block grant to states and local governments is the largest for affordable low-income housing. To participate you will need to contact your local or state government. The Department of Energy has grant money available to homeowners for repairs that will improve home energy usage. The US Department of Energy does not grant money directly to individuals, but grants the money to states. The states then create programs and base eligibility on DOE guidelines and regulations. Most people eligible for these programs are low-income and/or elderly. They will benefit from lower monthly energy bills. The Weatherization Program consists of two programs, Weatherization Assistance Program (WAP) and the State Energy Program (SEP). The SEP supplements the weatherization activities for low-income people. The states administer the Weatherization Program through local government agencies or nonprofits. You must contact your state/local government to find out who to contact and how to apply for assistance. If you receive Supplemental Security Income or Aid to Families with Dependent Children, you're automatically eligible to receive weatherization assistance. Most states give preference to anyone over 60 years old, if one or more members of your family is disabled, and if there are children in the family. Once your application is approved, the agency will conduct a home energy audit. An assessment and recommendation report will be presented to you and implementation discussed. The average grant expenditure per home is $6,500. There are no limits on the number of grants you can apply for or receive. If you need help in paying for needed home repairs, it may be worth your time to contact your local or state government and make an application that could pay off in ways that will improve your living conditions with a safer and healthier home.